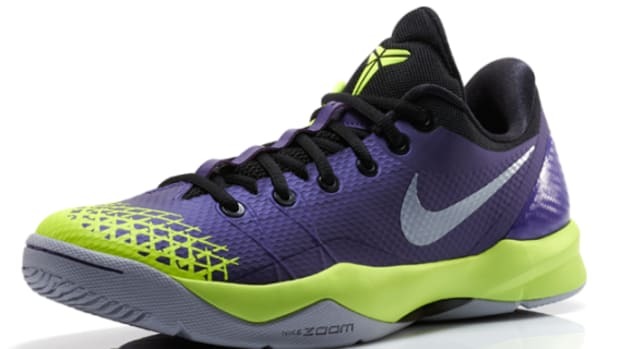 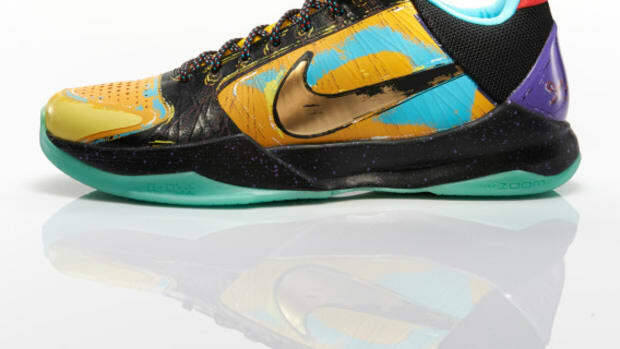 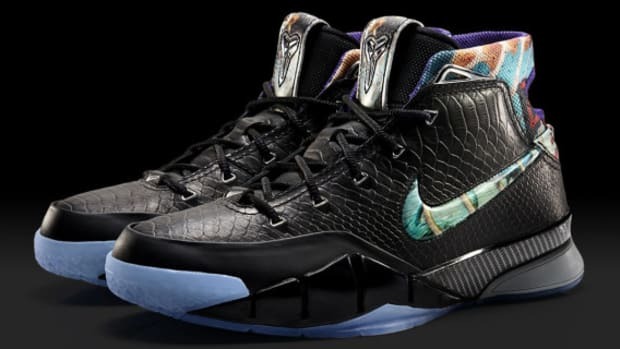 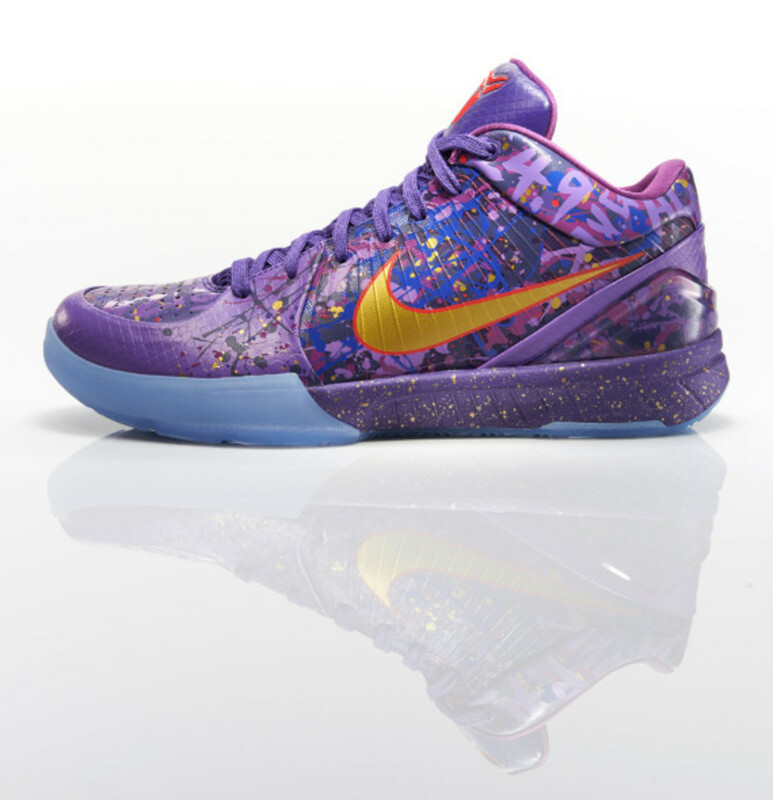 The latest installment of the Nike Kobe Prelude Pack to hit retail is the Nike Kobe IV, the low-cut silhouette first introduced in 2008 that expressed designer Eric Avar&apos;s mandate to go low and lightweight. 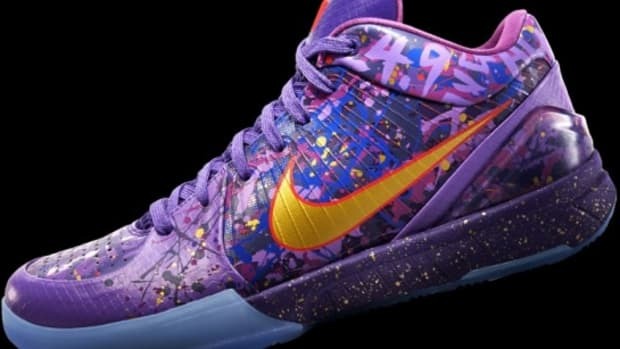 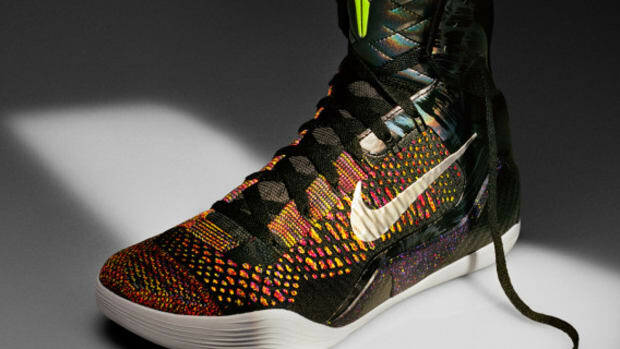 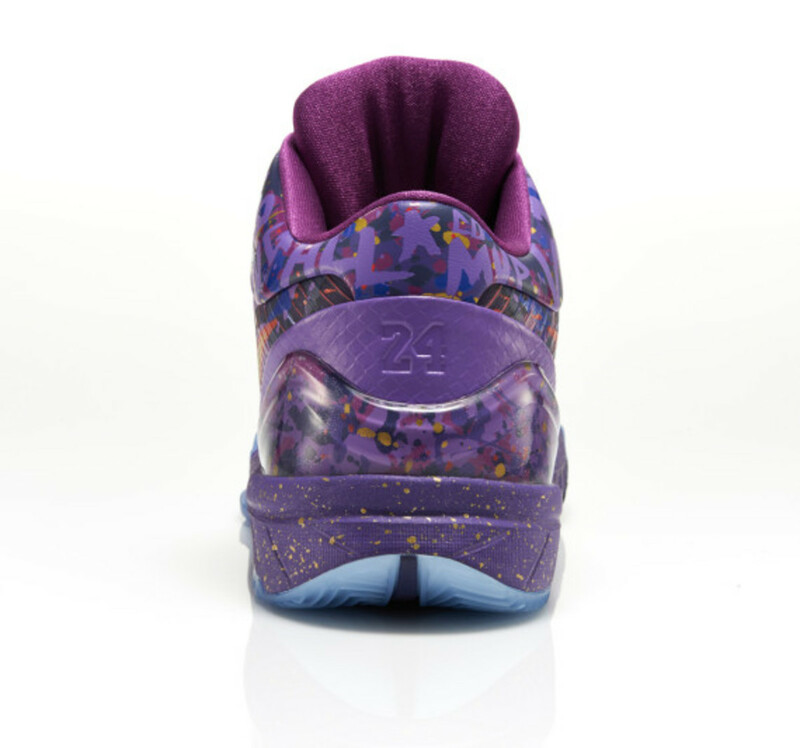 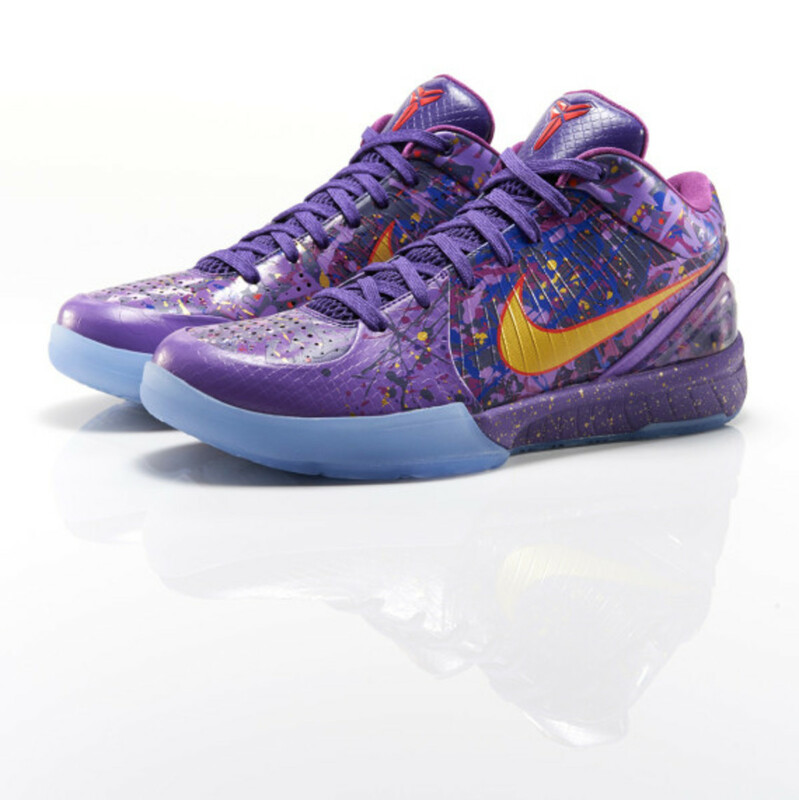 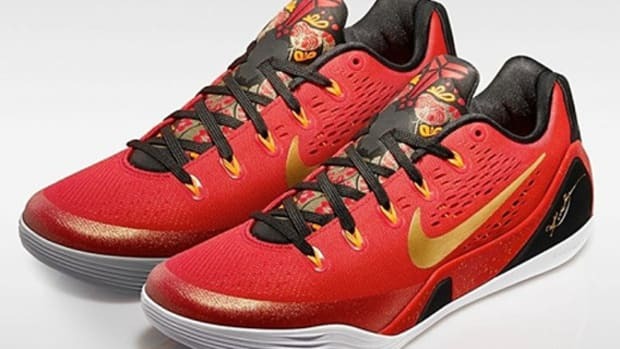 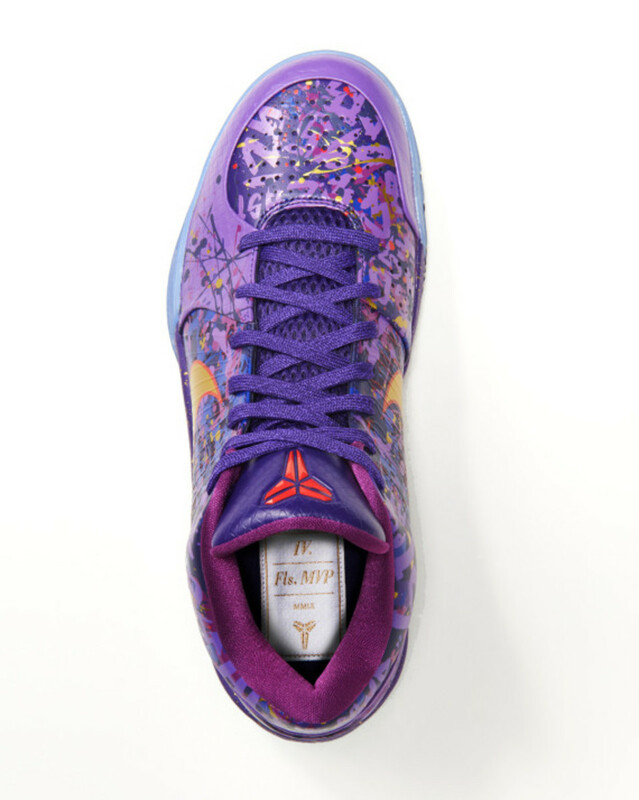 The shoe&apos;s Flywire-infused upper is dressed with impressionist art dominated by purple and gold tones, paying homage to the Los Angeles Lakers&apos; 2009 championship -- and more specifically, Kobe&apos;s crowning as the MVP during those finals against the Orlando Magic. 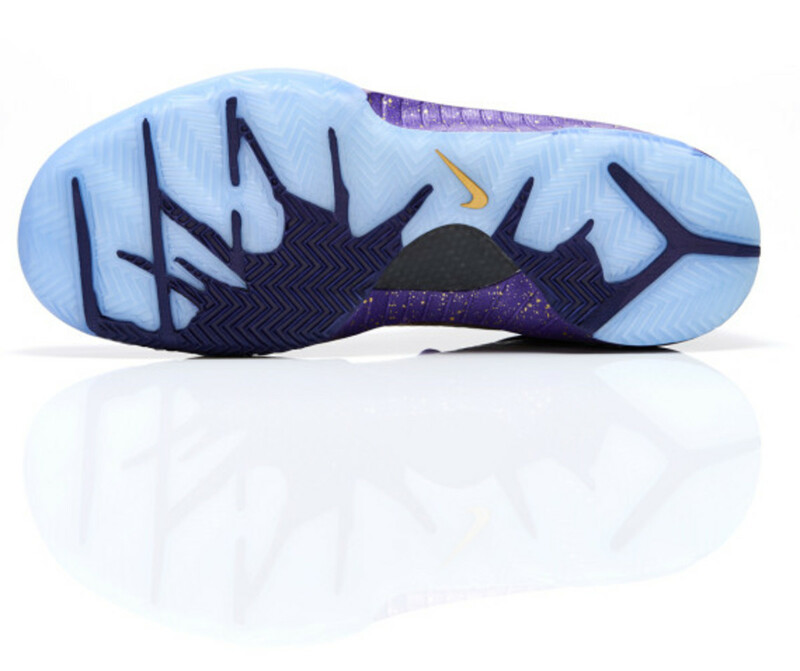 A subtle snakeskin texture on the tongue and translucent rubber outsole finishes the unique look. 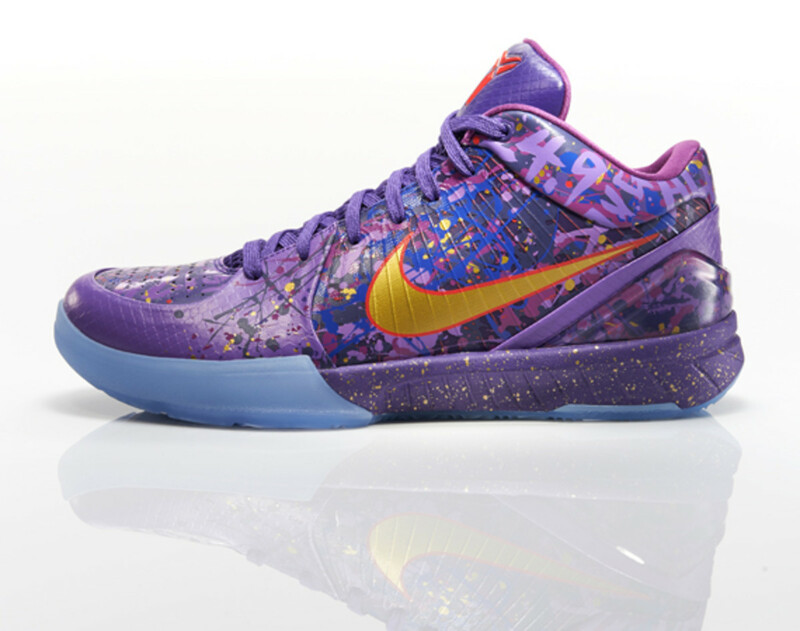 The Nike Kobe IV "Prelude" launches this Saturday at select Nike Basketball retailers and online. 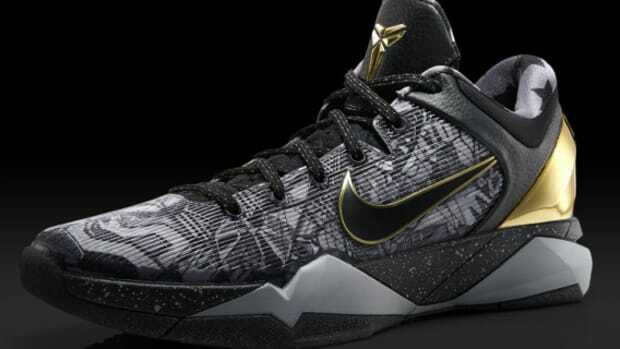 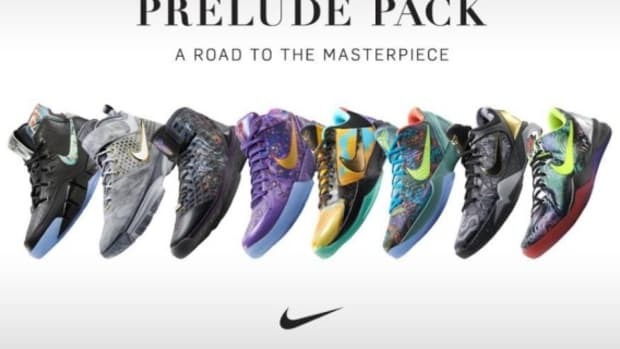 Nike Kobe 1 Prelude Pack - "81 Points"
Nike Zoom Kobe IV Prelude Pack - "Finals MVP"